I recently visited Callanwolde Fine Arts Center...my first time there in approximately 20 years. It's more beautiful than I remembered! As a tourist, you might want to check out the tours, available every day except Sunday. 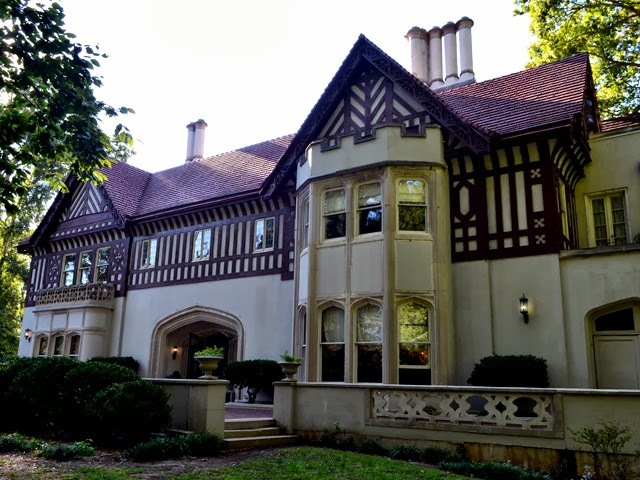 The Callanwolde, 27,000 square foot Gothic-Tudor mansion completed in 1920, is the former home of the Charles Howard Candler family. Howard Candler, the oldest son of Asa Griggs Candler (founder of The Coca-Cola Company), was the President of The Coca-Cola Company from 1916 to 1923.